Like all sculptures, creating a masterpiece begins with an artist’s vision. 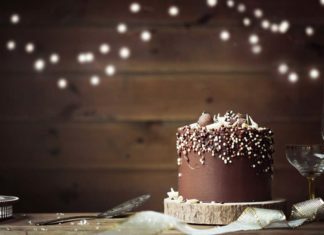 Then the artist expertly makes use of the tools he or she has learned to use, and cuts, chips, and scrapes away at the material until beauty is revealed. For artists like Petoskey resident Jake Ingle, his material of choice is snow, his tools are anything from a giant snowcat dozer to a handheld shovel, and the result is an enviable living work of art called the half-pipe. A spectator views the Mammoth Mountain Grand Prix Olympic Qualifier super-pipe all lit up and in its glory. Skiing and snowboarding half-pipes, like the ones Ingle creates, are expertly-crafted, snow-made ramps with a U-shaped cross-section. This shape allows winter-loving athletes to perform remarkable aerial jumps and maneuvers that defy the general public’s imaginations. The journey to creating and building these massive canvases started in a much smaller way for Ingle. It began with a love of outdoor and winter sports that Ingle shared with his whole family, as well as a mentality to “thrive, not just survive” the cold Appleton, Wis., winters. It eventually meant heading off to college at Gogebic Community College in Michigan’s Upper Peninsula to study ski area management. That led to an internship at Copper Mountain in Colorado, which led to building some of the most enviable half-pipes in the country and, as they say, things snowballed from there. 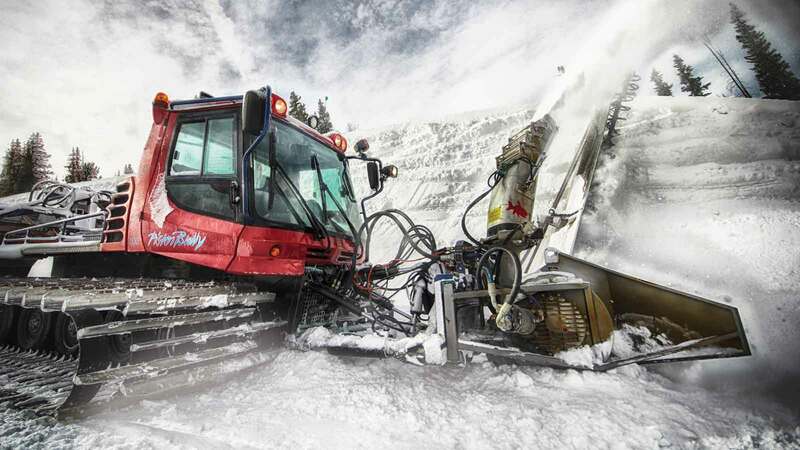 The Zaugg pipe monster is the machine used to rough carve the super-pipe at Colorado’s Copper Mountain. His half-pipe-building work got national attention when the U.S. Ski and Snowboard Association approached him, Ingle said. From there, Ingle started working on U.S. Grand Prix and FIS World Cup events—building massive half-pipes, as well as a reputation for himself. 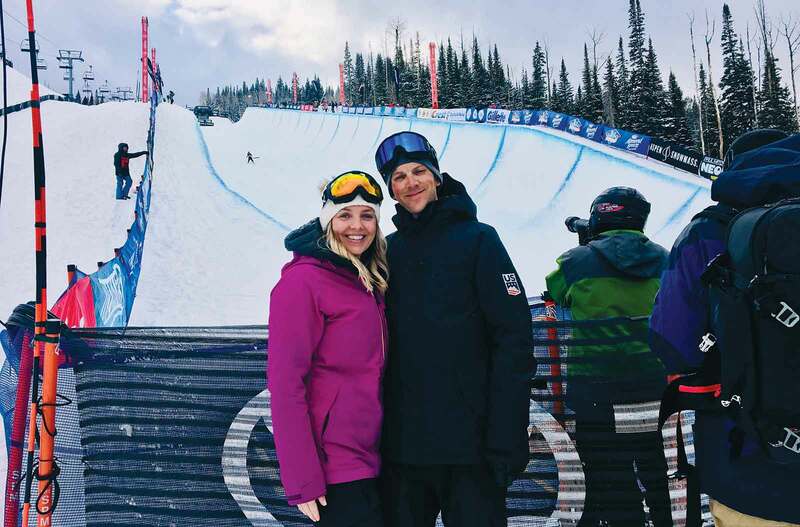 Jake Ingle and his wife, Clare, prepare to watch one of the fruits of Jake’s labor——the Grand Prix super-pipe event in Snowmass, Co.
Bill Van Gilder is an FIS technical delegate at half-pipe Grand Prix events. 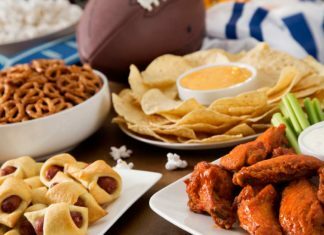 His family owns a restaurant in the Pocono Mountains—Van Gilder’s Jubilee Restaurant. 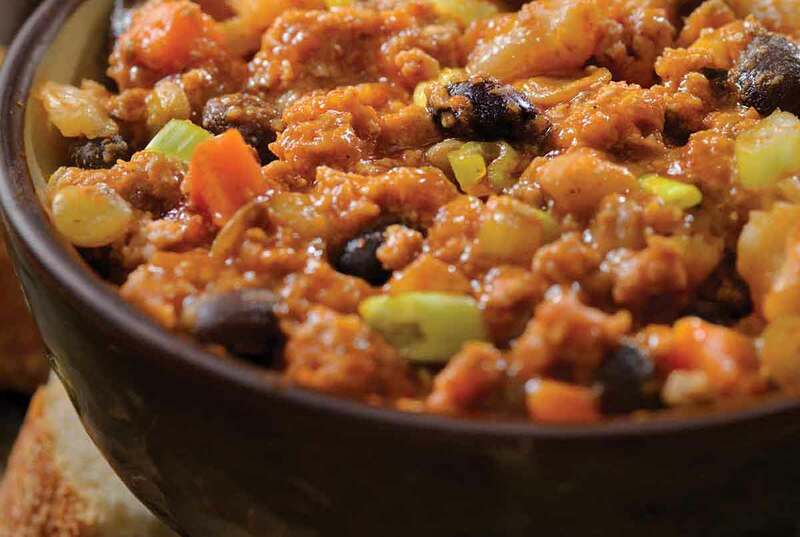 Warm up with his Jubilee Bean Turkey recipe. Working on these large competitive events eventually led to a recommendation from Roberto Moresi, the World Cup race director, to build the half pipe for the 2018 Winter Olympics in Pyeongchang, South Korea. Along with Ingle’s partner Mark Pevny and Austria-based colleague Alli Zehetner, the trio set out to create a work of art for the largest sporting stage in the world. “There were definitely some nerves. The half-pipes at both the Vancouver and Sochi Olympics had gotten a lot of negative feedback,” said Ingle. “The weather was brutal and made building and maintaining the pipe so hard. You really feel for those guys who worked on those pipes when there’s so much out of your control. ”Ingle and his team began their plans well in advance with site visits, measurements, drawings and a picture in mind they hoped would live up to the reality. The building of the pipe itself is half construction site, half science experience. 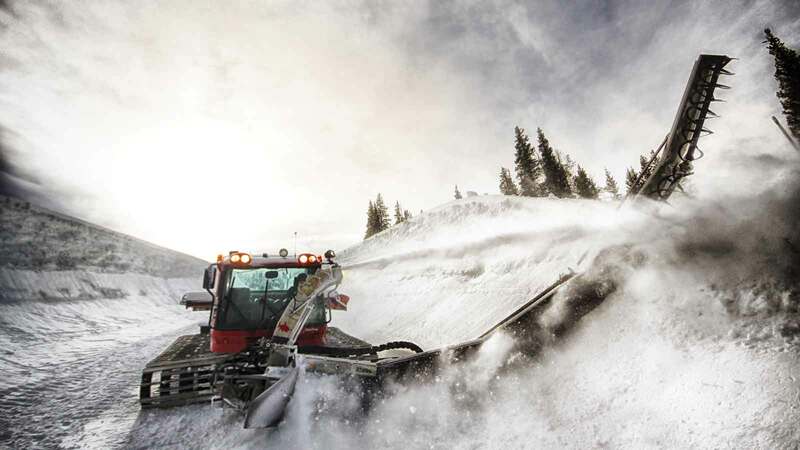 The team of 70 used huge construction dozers, taking days to build the first wall alone, followed by half-pipe cutter machines, and huge snow blowers. Following these massive tools, Ingle and crew pulled out the shovels and more than a few specialty tools that he has developed as a result of his experience. We use “centimeter-accurate equipment,” Ingle said. Ingle and his partners completed their work of art in a little over two weeks and with more than a little pride. 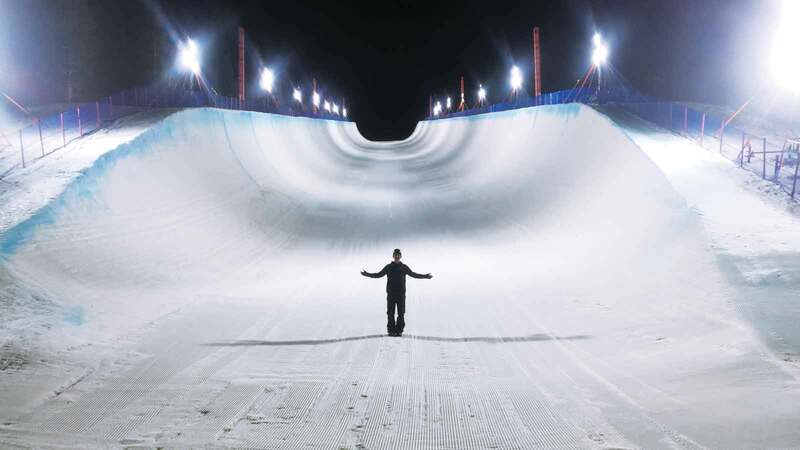 In the end, the half-pipe at the Phoenix Snow Park in Pyeongchang was 650 feet long with 24-feet-tall walls and 82.5 degrees of verticality. It surpassed even their own wildest dreams. 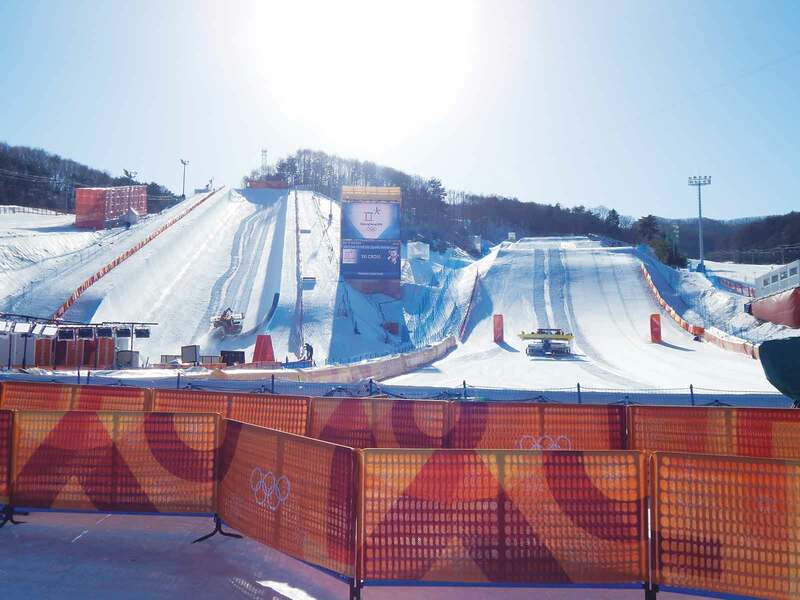 A view from the finish-line area of Jake and his team’s super-pipe and boarder-cross venues at the 2018 Olympics in South Korea. Feedback from the Pyeongchang games was remarkably different than the previous two Olympics. Rave reviews of Ingle’s half-pipe came in from snowboarding gold medalist Shaun White’s coach and 2012 bronze medalist, JJ Thomas, as well as Mike Jankowski, head coach of the U.S. Freeskiing and U.S. Snowboarding teams.